This is a wonderful, yummy and gooey casserole my whole family loves. 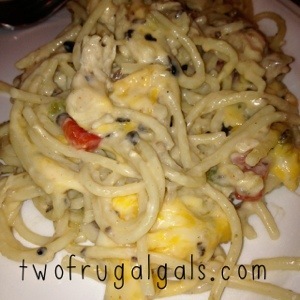 I found this recipe from one of my favorite cooking website The Pioneer Woman. There are a lot of vegetables in this casserole, but the key way my kiddos will eat this, is to keep everything diced very small. You can also make adjustments to suit the needs of your family. Another great benefit to this casserole is its super freezer friendly or perfect for a meal train. It’s always comforting to have this recipe on hand. Pre-heat oven to 350 degrees. Boil chicken, (to make more flavorful add 1 bouillon cube.) take out and cool and save 2 cups of broth from the pot and set aside. Bring the remaining broth back to a boil and add the spaghetti. Cook it until done. Drain the spaghetti, discarding the cooking liquid. Set aside. With two forks (or your fingers), remove the chicken. Shred or cut the meat into bite-sized chunks. Drain the pimento. 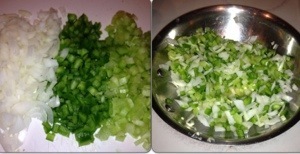 Then dice the vegetables: finely dice the onion, celery and cut the green pepper into Julienne strips…then slice them in the other direction to create dice. Sauté celery, onions, peppers until tender. 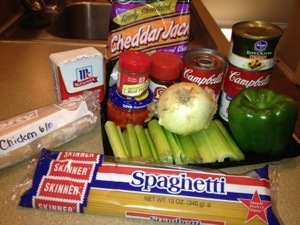 Place the cooked spaghetti in a large bowl. Add the cream of mushroom soup. Add 2 cups of cheddar cheese. Then add the onion, green pepper, and pimento. Add the seasoned salt, black pepper, and cayenne pepper. Finally add the chicken and broth. Stir together well, then taste to check the seasonings. Pour the mixture into a large baking dish, and top with the remaining ½ cup cheddar cheese. Bake for 35 minutes, until bubbly. When I reflect on my childhood days, back when we had to roll the windows up and down with our bare hands, twirling in circles was acceptable and the only password I had to remember was “open sesame”, Sigh…OH TO BE A CHILD AGAIN. Food has always been the center of our family gatherings. Some of the best days of my little life were spent surrounded by aunts, uncles and cousins. We were and still are blessed to have a large family (my dad has seven brothers and sisters) and we were fortunate growing up, to live in the same small West Texas town. This also meant we shared many of meals together and most of our holidays together. So what do you feed a small army? The famous family recipe we call “The McBride Texas Pile-On”. If you’re looking for the best meal to feed a crowd, this is a recipe you need to stash away. It’s sure to please any crowd and each guest can bring a side. 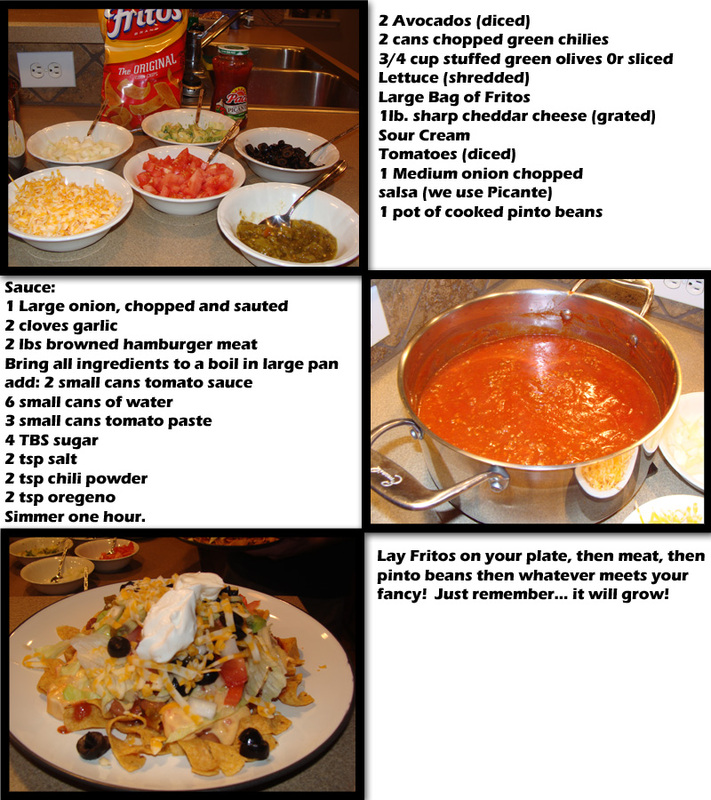 This recipe was inspired by my sister in law, who brought this over for our Friday night cookout last weekend. It quickly made it to our new summer favorite. It was DELICIOUS we couldn’t stop eating it! It’s the perfect dish for summer entertainment and it gets better the longer it sits. In fact, when you make this salad you want to have plenty of time to let it sit while the flavors meld together. 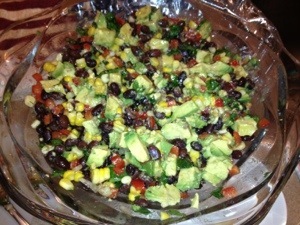 I have to admit, this salad involves a lot of chopping and takes some time to put together but it’s TOTALLY WORTH IT! 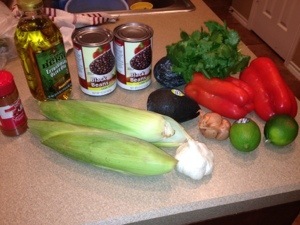 It’s a super frugal recipe for the summer because you can find most of the ingredients on sale SCORE! Definitely since fresh corn is in during the summer, and if you have a few more minutes go with fresh. One of the most exciting things about life is trying new things right? 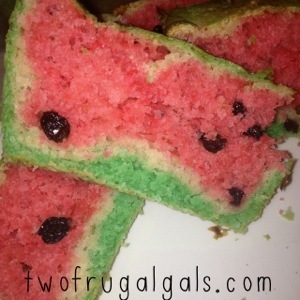 After making this Dr Seuss Bread a few months ago, I came across this recipe for Watermelon Look-Alike Raisin Bread and couldn’t resist… You can find this recipe and helpful video for Watermelon Look-Alike Raisin Bread by going to yoyomax website. 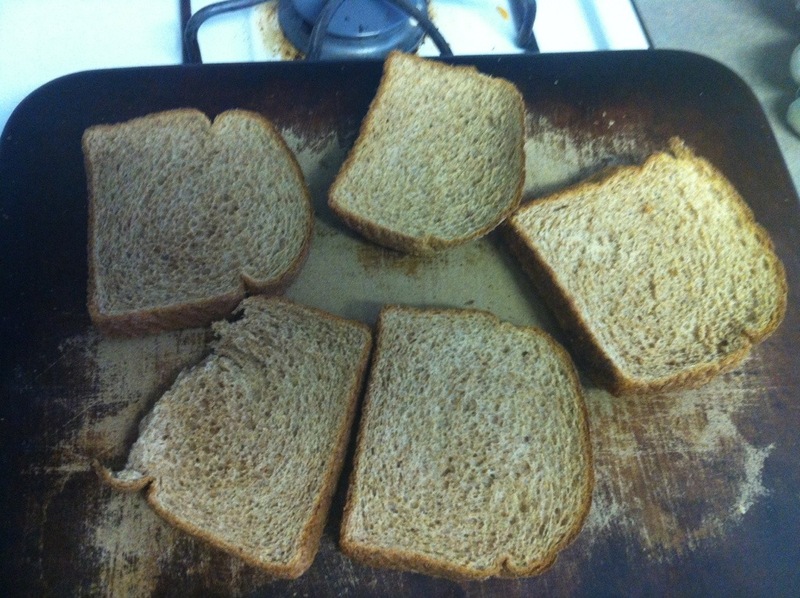 Instead of using the bread recipe she listed, I used Two Frugal Gals Sandwich Bread recipe It was super fun to make. You can also use chocolate chips instead of raisins if your wanting something a little sweeter. Enjoy!! Mix milk, butter and egg yolk together in a large bowl and place in microwave for 40-60 seconds until mixture feels very warm to the touch. 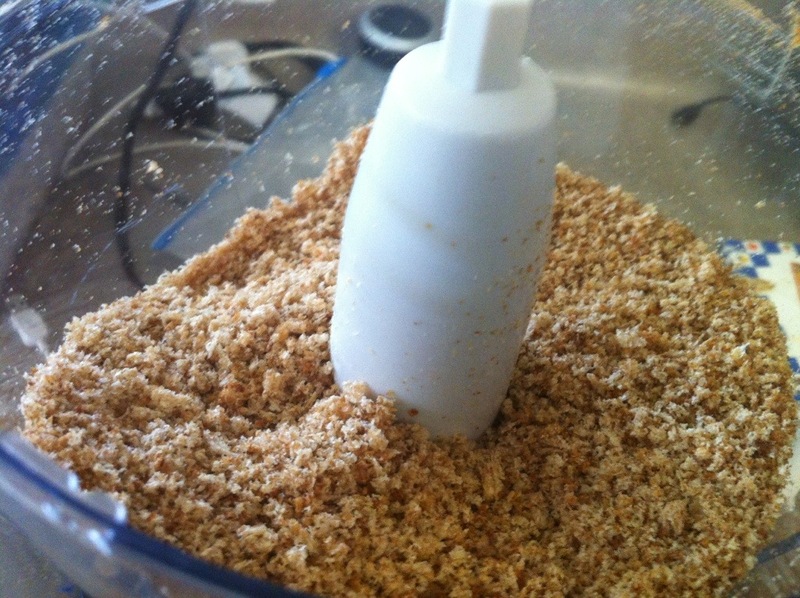 Add sugar, salt and yeast and mix together. Blend in one cup of flour with a spoon or whisk. Blend in second cup of flour with spoon, dough will pull away from sides, You want the dough to be wet and sticky but firm enough to cut it into halves or quarters. Divide the dough in half. Cut one of the halves into two pieces. 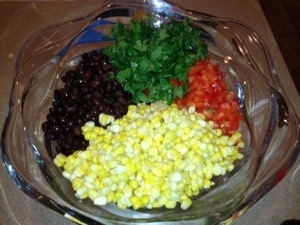 Place the smaller pieces into individual bowls. Leave the whole half in the big bowl. Add red or pink (or both) food color to the largest portion of dough and stir until combined, add in about 3/4 of a cup of raisins. Stir until raisins are incorporated into the dough, Then add small amount of flour and stir until you can’t stir any more. Turn out onto a counter and knead the bread dough, sprinkling small amounts of flour onto the counter if the bread dough sticks. Continue to knead for about 8-10 minutes until the dough is smooth and elastic. Poke any raisins that fall out back into the dough ball. Either coat the dough ball lightly with oil or flour and place in the bowl. Cover with plastic wrap and place in a warm spot to rise until doubled in size. Repeat the above procedure with one of the small pieces of dough by adding green food color to it and then enough flour to be able to knead it. Knead until smooth and elastic and place in a covered bowl and allow rising until doubled. Repeat same process with last small piece of white dough. Only add flour and knead (no food color required).Once dough balls have doubled in size (about 1 1/2 to 2 hours) do the following. Place the red dough ball on the counter lightly dusted with flour. Punch down to remove large air bubbles and roll into a log shape, making it as smooth as possible. The length of the red log should be the length of the bottom of your bread pan. Roll out the white dough ball with a rolling pin until large enough to completely cover the red log. Brush some milk on the red log and on the white piece of dough and then wrap the white piece around the red log. Make sure all the red is covered and pinch the seams firmly to seal. Roll out the green piece of dough large enough to cover the now white log shape. Brush with milk and wrap completely around the white log, covering it completely and pinching seams to seal. Place the completed dough log into a greased loaf pan. Cover loosely with plastic wrap (I greased my plastic wrap lightly so it wouldn’t stick to the dough) and let rise in a warm place until doubled in size (about an hour).Bake at 375 for about 20-25 minutes. Bake it until the outside is nice golden brown and when you tap on the loaf it makes a hollow sound. Let cool slightly in the pan and then remove and let cool on a wire rack. As much as you might want to cut it right away, wait until cool. A hot loaf releases lots of steam when cut and this is moisture that you want to keep inside the loaf, it will help the bread stay moister longer. Seriously I think you could add it to almost any recipe and it would make it go from good….to FANTASTIC! Last week, I was having some friends come over for dinner and didn’t want to have to go to the store. I had to get creative and I figured if I just used bacon it would all come out fine. This is the delicious result…. 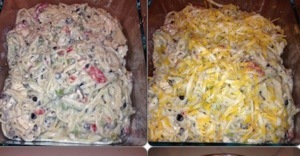 Mix your cheeses together. Set aside. 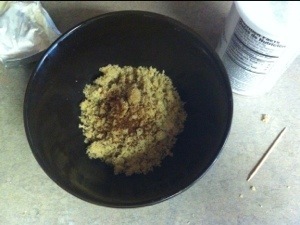 Mix your chili powder and brown sugar together in a bowl, and set aside. 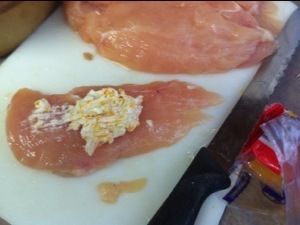 Slice your chicken in half to make them thin. 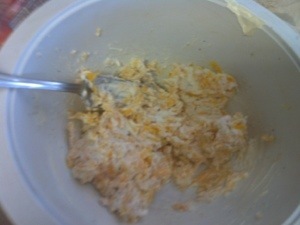 Then put a tablespoon of the cheese mixture in the middle. 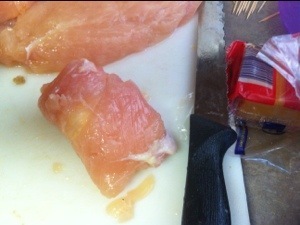 Roll your chicken breast up. 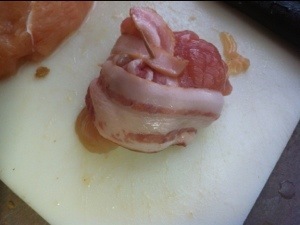 Wrap it in bacon and secure it with toothpicks. Make sure to wrap around the sides so your cheese does not come out. 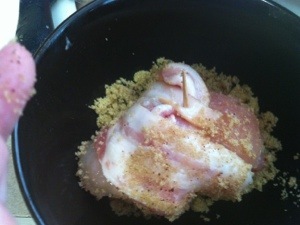 Roll your chicken in the sugar mixture to coat. Repeat with all your chicken. Put in a baking dish and cook on 350 for 25-30 minutes. 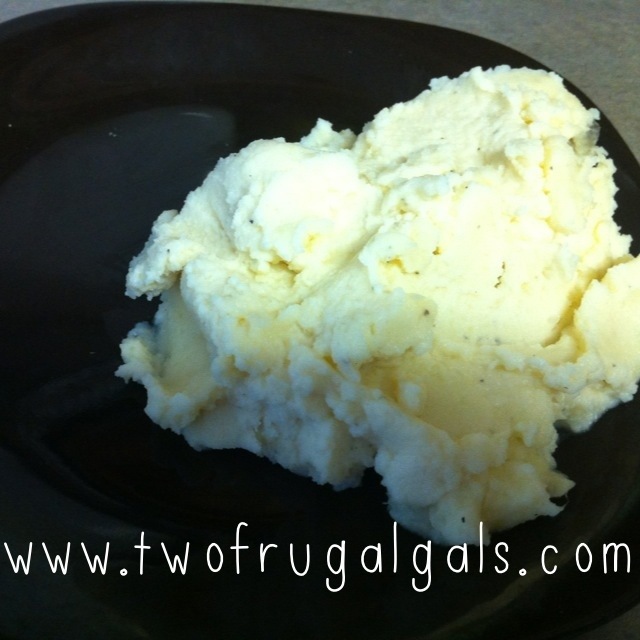 Mashed potatoes are always a good side dish. These could be a main course! They are so incredibly rich and creamy. Many of my friends and family request them when they come over for dinner. It is a good thing because otherwise I could eat the entire bowl! Normally I don’t peel my potatoes. 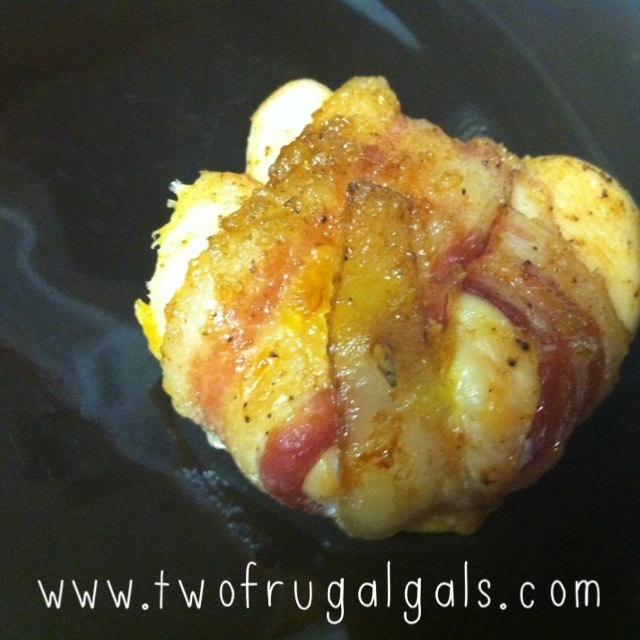 Maybe that is a southern thing… but for this recipe I bite the bullet and do it! 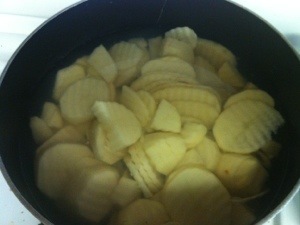 Boil your potatoes until a fork inserted causes them to break. 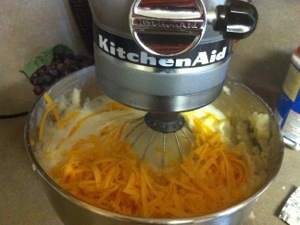 Drain your potatoes and put them in your mixer bowl. 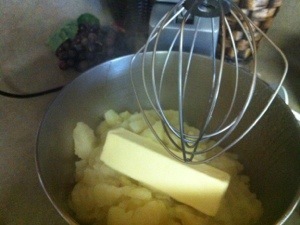 Add the butter, and whisk. 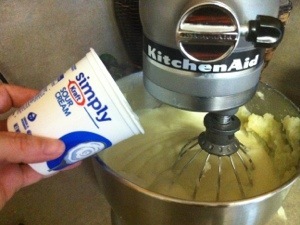 Add the cream cheese and whisk some more. Add the sour cream and whip some more! Now… the CHEESE. 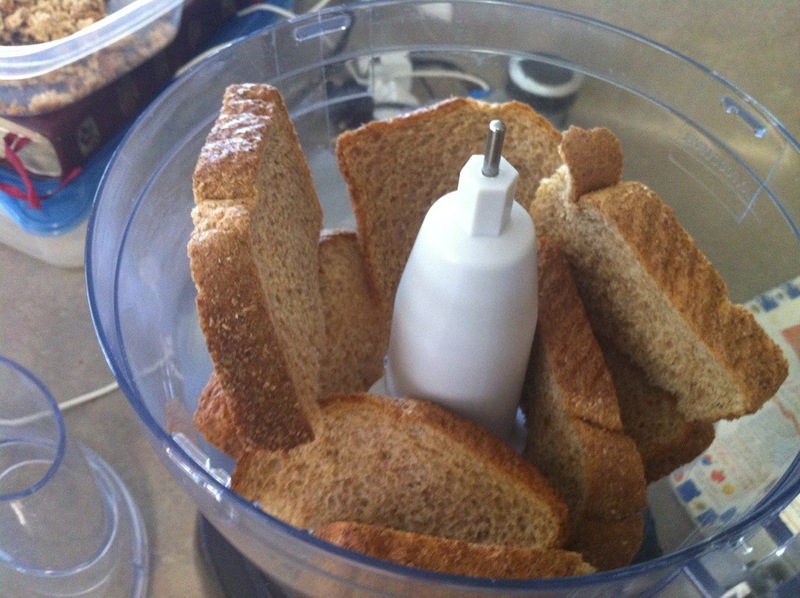 Whip until the cheese is melted. 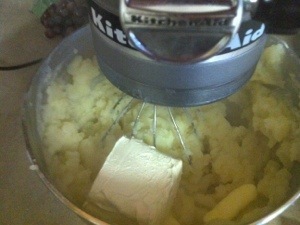 If your potatoes are too thick, you can add some milk to reach your desired consistency. Add salt and pepper to taste.